The last couple of years have been tough on Bollywood superstar Hrithik Roshan. 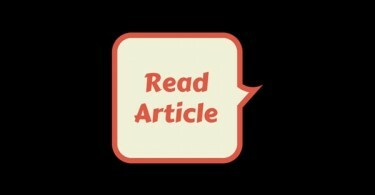 He is in the process of divorcing his wife of more than 14 years in October. He suffered a terrible accident on the sets of Bang Bang, after which he had to undergo brain surgery. 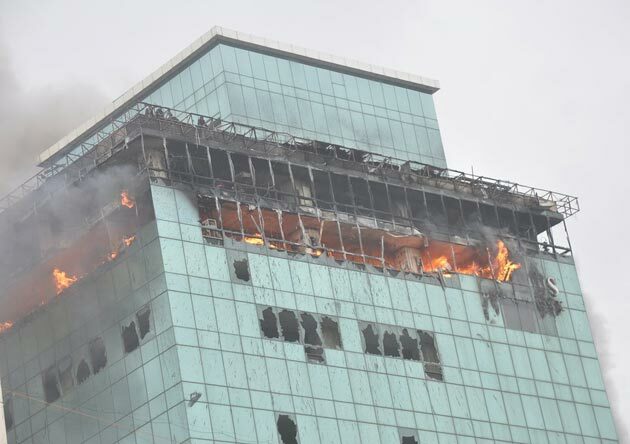 And now, his office in Andheri (West) has been completely turned to ashes. 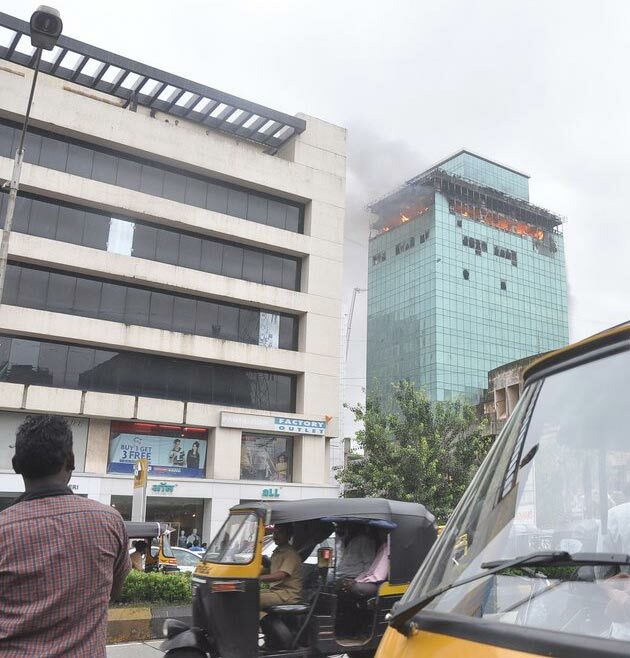 Hrithik and his father Rakesh Roshan own 5 floors in Lotus Business Park, which suffered extensive damage in a fire that raged for seven hours. Hrithik owns the fourth, fifth (no damage to these) and seventeenth floor (extensive damage) in the building, while his father’s production house Filmkraft Productions occupied the 15th and 16th floors. The top three floors have been completely destroyed. He also paid his respects for the firemen who risked their lives to extinguish the fire. One fireman was killed, while quite a few others were injured in the incident. “Respect for the brave firemen who risked their lives today to extinguish the flames. True courage.” he tweeted. Why not he being krrish and save the building like in krrish3 movie lOl. Hrithik roshan is a true fighter. Then after going through a shockingly poor form when everyone wrote him as an one film wonder,hrithik the fighter came back with koi mil gaya,a blockbuster and one of the best indian film ever made. Then after 6 glorious years when hrithik had a disastrous 2010,many called it curtaims for him.but hrithik the fighter came back with three consecutive big hits,each bigger hit than the previous including the cult classic-zindagi na milegi dobara. This time it has been even worse for hrithik-divorce with childhood love suzaane,fake acquisition of ibflating figures,walk out of suddhi for strange reasons,critical brain surgery and finally office veing burnt into ashes. This all happened because indicine has started posting too many articles about Hrithik. Stop it indicine. Feeling very sad about the fireman who lost his life and hope Roshan’s support his family. Really sad to know that a fireman died due to this accident. My condolence to his family. 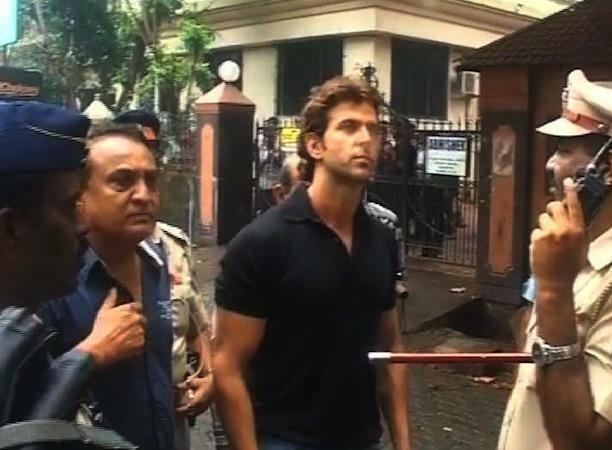 Hrithik don’t worry we r always with u & plzzzzz help the fireman family. How cone srk is not responsible for this incident. Any way it is sad that this incident happens. My sympathy with this man. He will come back strongly. GOOD NEWS!It made my day. @Arjun Kapoor I don’t know whether you’re a Hrithik sympathizer or you just making fun of him. Punishment for manipulation. Producers should give honest figures. Unfortunate incident. May the fireman RIP. Bad times wil pass, we fans are always there with u!! This is very bad news for both Ajay and Hrithik but i hope this will not affect them much. By the way i guess they have insurance for these………….